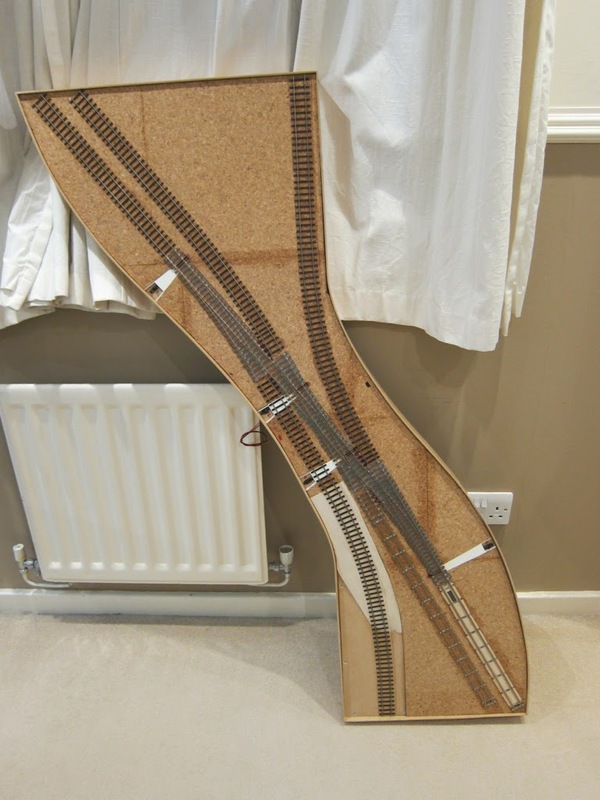 My test track is a strange thing, built last year utilising some Neil Rushby points that I had stored away from the last EM phase that didn't get off the ground. It was assembled using offcuts of timber which is why it is shaped this way. The two main curves are 30" and 36" (the latter on a slight gradient) whilst the points were deliberately arranged to give me a set of doubled reverse curves - the idea is that if things work on here, they should work anywhere. It is wired up with all lines constantly powered and switched vees using slide switches that also throw the switchblades. 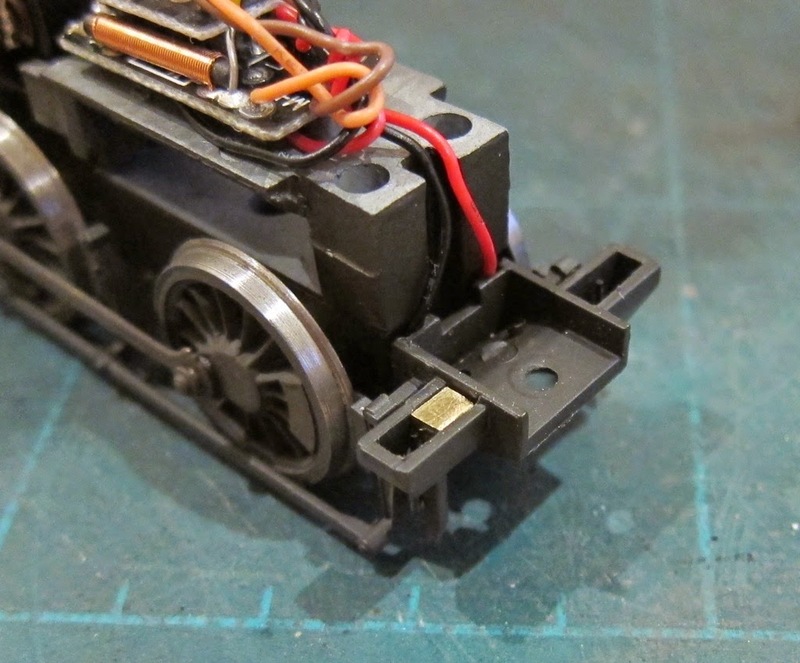 It can be used for DCC as well as DC which is why there are just two wires to connect. 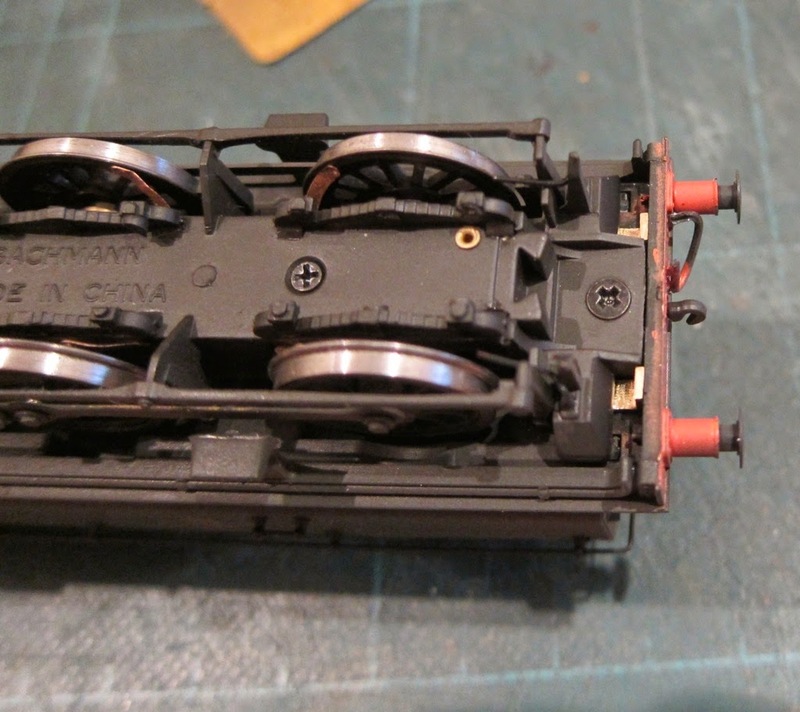 It gets a bit boring playing with just a couple pieces so another wagon has had the S&W couplings installed and I made a front loop for the Pannier too. In keeping with the rear loop, this one is demountable as well. 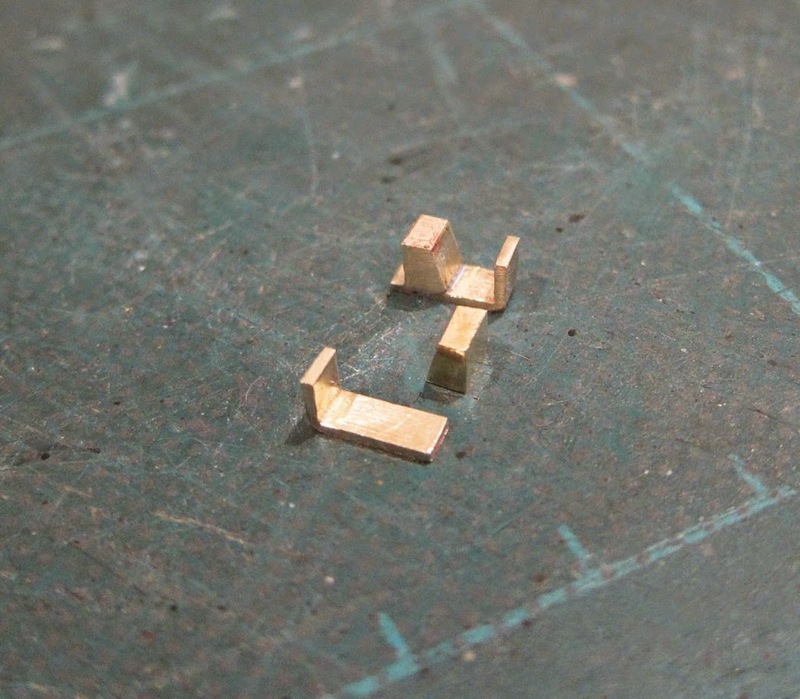 I started by filing a taper into a 1/8" square section of brass. 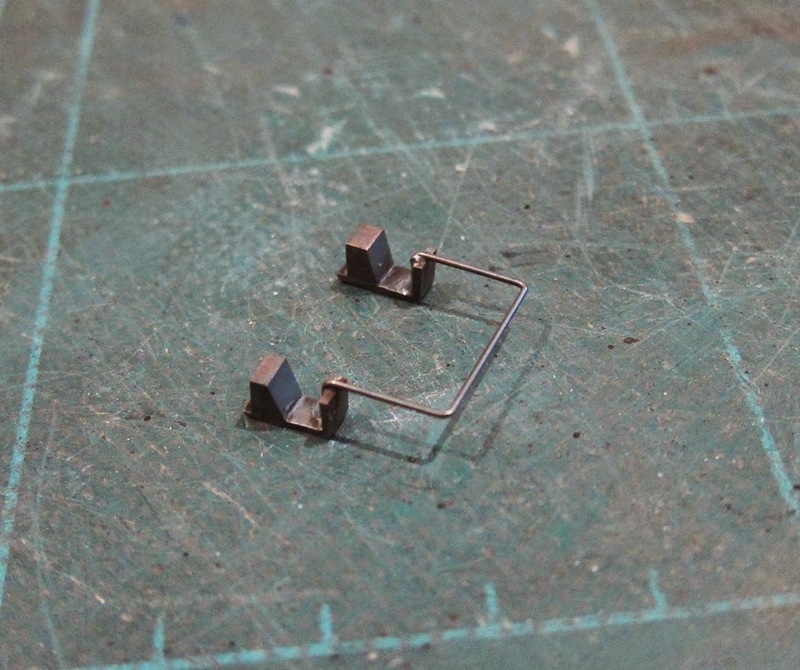 A length around 1/8" was cut off - this can then be inserted into the hollow section of the front sandboxes. 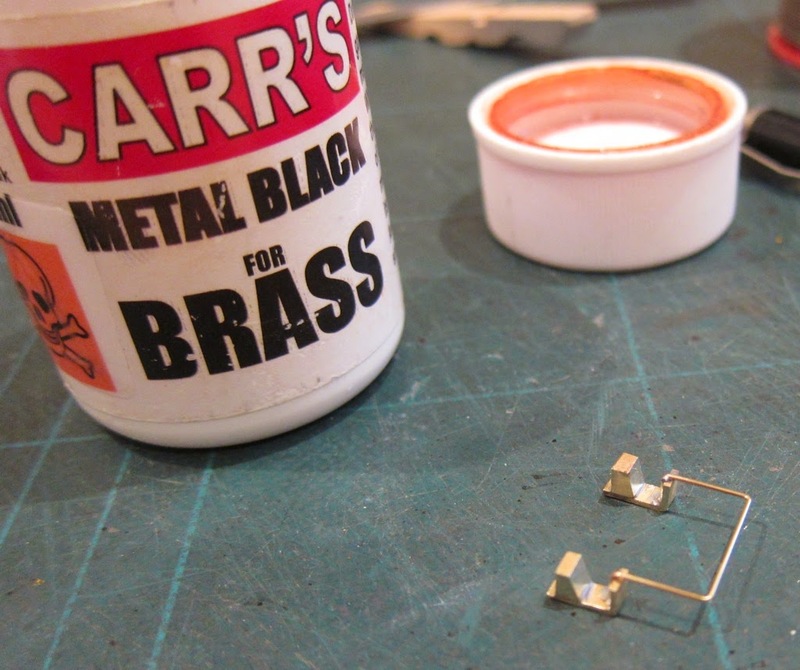 An offcut of scrap brass was cut to make an L shape bracket and soldered to the tapered section. 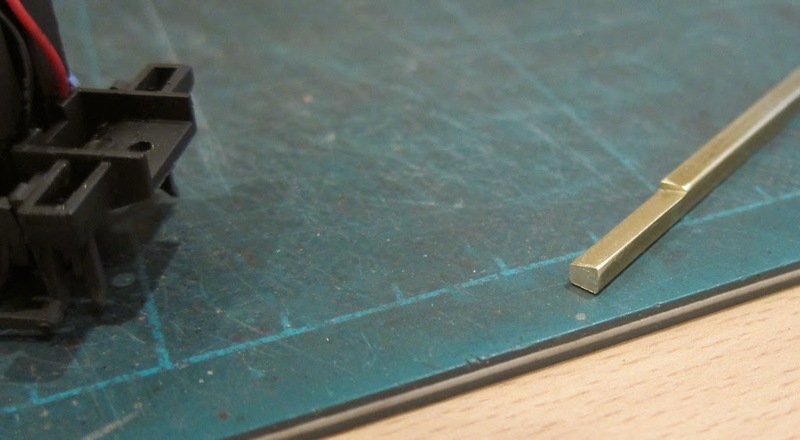 A coupling loop was folded up from 0.5mm brass wire and then soldered into place, I used a toolmakers clamp to keep the bracket and tapered section together. The assembly was given a good scrub in Viakal with a toothbrush, cleaned off, burnished with a fibreglass brush and then chemically blackened. 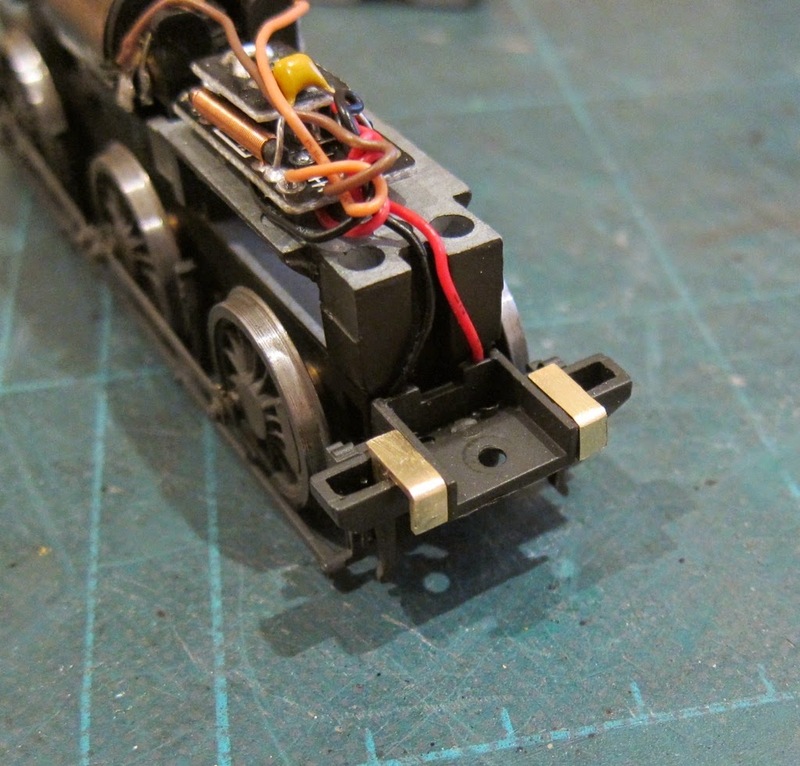 I gave it a minor tweak to set the alignments then dropped it into place in the Pannier chassis. Time to play test some more. 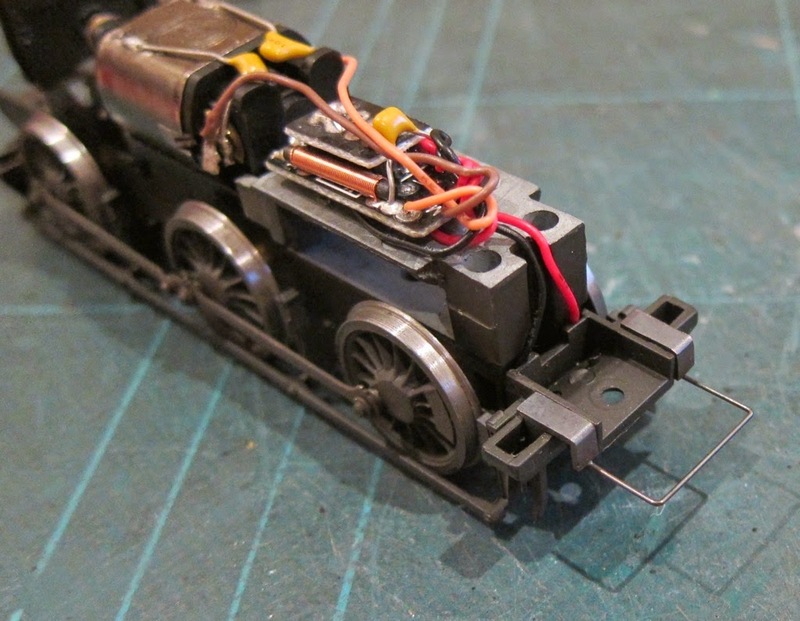 A very neat solution to the problem of adding S&W loops to locos. 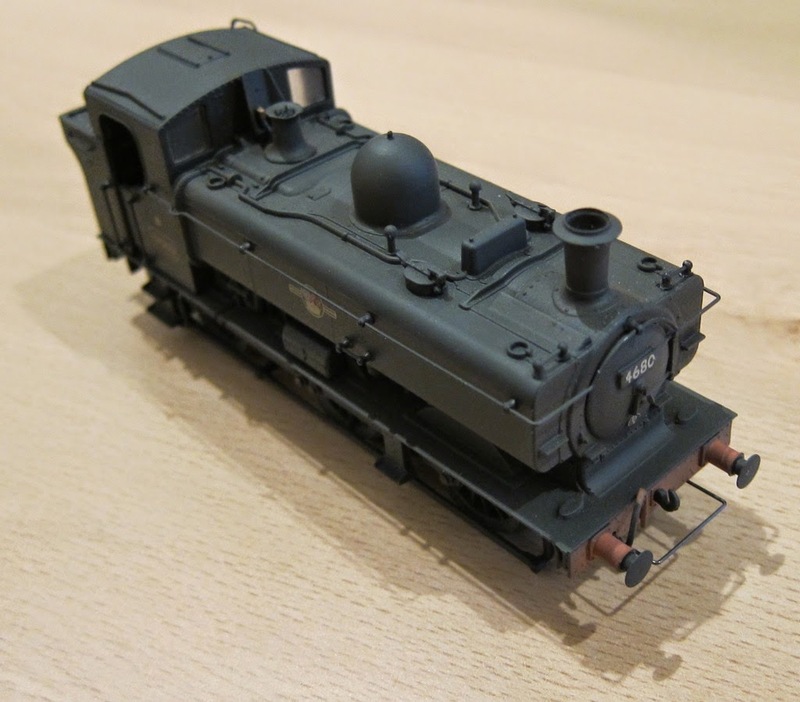 I find they fit well on rolling stock but always have a bit of trouble with locos because of the chassis getting in the the way. Thanks a lot for the inspiration. I'm glad I found your new blog, it's a wonderful prototype and I'll be interested to follow your (further) venture into EM as I have been considering the same myself. Thank you very much for your kind comments, I'm pleased to hear you have found something useful. 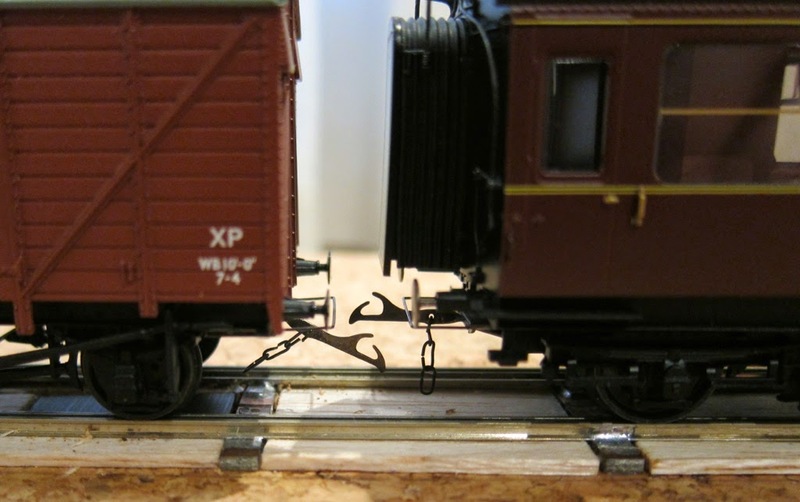 Like you, I've found the rolling stock is fairly easy to fit the S&W couplings to - I guess I'm lucky as the Pannier seemed particularly well suited to removable loops. I hope the other engines are that easy when I get round to them! Why have I chosen EM? On the Waterfront - The camera returns to my Belgian HO layout to document progress on the dockside and a further structure.